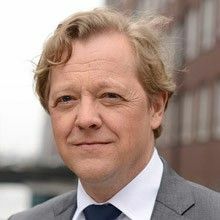 Jan Schoop, born in 1964, is a German attorney who primarily advises larger mid-sized enterprises and their group subsidiaries on all issues relevant to their day-to-day business operations. His advisory work is focused on the areas of general commercial and company law, the incorporation and reorganization of companies, drafting of articles of association/partnership agreements, acquisitions of companies and equity interests in companies, the structuring of legal relationships in terms of company and tax law and with regard to liability issues, and the legal relationships – in terms of employment law and other areas of the law – of the shareholders/partners to each other and to the company, its managing directors, and its management boards. Mr. Schoop's work also includes the drafting of standard contractual terms and conditions and the drafting of contracts in the areas of sales/distribution, employment, construction, ship management, direct investments, charterage, franchising, articles of association/partnership agreements, sale and supply, etc. His work also entails the finding of solutions to employment and insolvency law issues arising in conjunction with corporate reorganizations. His expertise also covers the entire area of closed-end investment funds, especially in the areas of shipping, real estate, and renewable energy, as well as the related investment law issues and disputes that arise between investment companies, investors, and investment advisers. Jan Schoop's clients include not only companies but private individuals and public organizations as well. Although their business interests are preferably dealt with by him through negotiations outside the courtroom, his long years of litigation experience have provided him with the skills necessary to enforce these interests in the courtroom as well if need be. Prior to studying law at the Universities of Regensburg and Hamburg, Mr. Schoop completed a banking education in a large private bank. The topic of his doctoral thesis was the exemption from liability for labor dispute-related breaches of contract within the scope of the CISG, the UN Convention on Contracts for the International Sale of Goods. Following his bar exam, Mr. Schoop worked as an assistant at the University of Stellenbosch (South Africa) before his admission as a German attorney in Hamburg in April 1996. Before becoming a partner at GGV in October 2012, Mr. Schoop was a partner in a law firm with offices in Hamburg and Schwerin that specializes in commercial law.